With over 30 years of experience at the forefront of the industry, the expert team at Stodec Products are ideally placed to carry out surveys and repairs on all storage and racking equipment. We repair and replace individual components within your storage system, potentially saving you time and expense, and our in-depth knowledge ensures that all units and surrounding areas are kept safe and in line with SEMA standards. Alternatively, full replacements are available, along with assistance when relocating storage and racking to a new premises. Stodec Products can provide either annual or twice-yearly inspections of your racking, giving you a written report and layout diagram demonstrating damaged areas and recommended remedial work. Not only does this help to keep your working environment safe, it also provides you with certification from a specialist to show to insurers or health and safety inspectors. For more information about what a Stodec survey entails, or to request repairs and maintenance of your racking, get in touch with the team today. The Dexion nationwide network of distributors are qualified to undertake an inspection of your Dexion racking and shelving. They will also produce a report that will identify any significant damage to your installation. 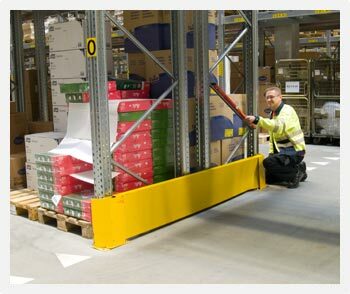 The inspection will be carried out in line with the Storage Equipment Manufacturers Association who are the trade body of the major racking suppliers in the United Kingdom.